TW100 North Bayou belongs to the steel framed family of mobile TV carts. This model has a completely steel frame for more weight capacity. 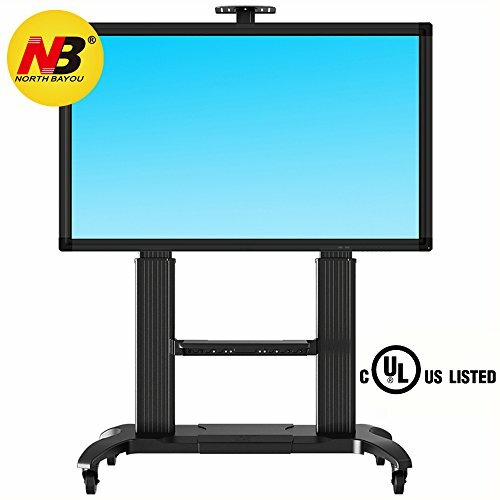 This heavy duty TV stand has undergone extensive safety testing and has been certified by Underwriters Laboratories (UL), which ensures the highest level of safety and reliability. Its max load capacity - 300 pounds (136.4 kg). All this construction is mounted on 4 wheels which provide smooth and easy maneuvering. 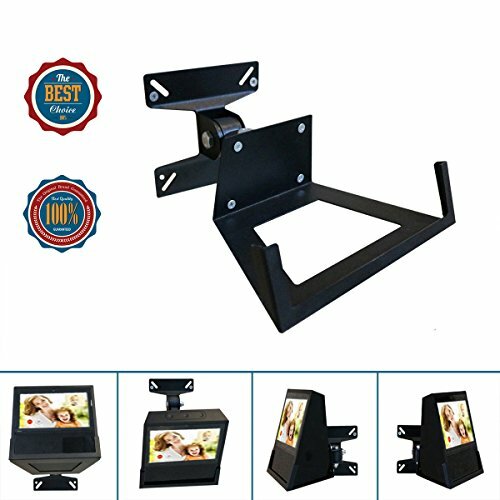 Lock them to fix position of the cart and prevent its accidental rolling.You can use this mobile TV cart anywhere you would like: in your office, gym, bar, outdoor and at home. 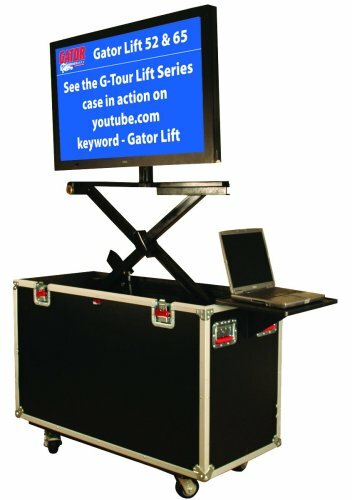 No need to drill the walls, just roll mobile TV cart anywhere you would like. 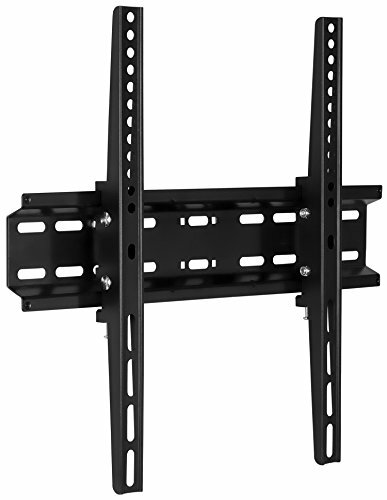 TV stand supports all popular televisions with diagonal 60" - 100" and VESA mounting holes from 200x200mm up to 1000x600mm. Adjust the height of your TV from 48 to 67 inches by simply pushing buttons of the remote control. 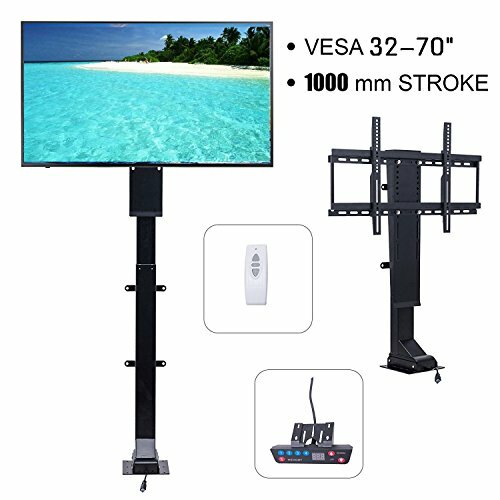 Thanks to 24V motor your television will be adjusted automatically. 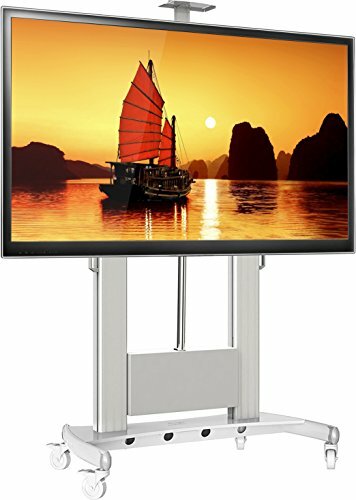 TW100 comes with a shelf for your web-cam to hold teleconferences or any other equipment. 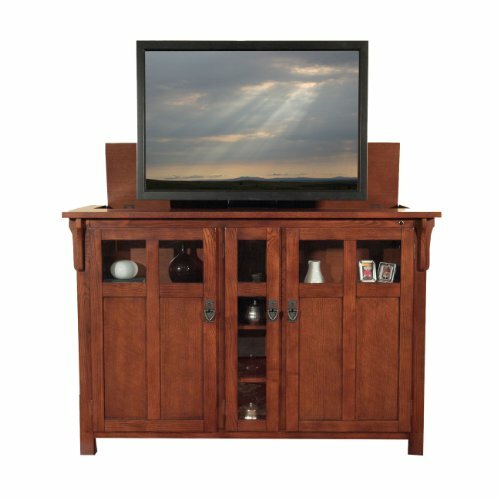 Due to integrated cable management design you can keep television and cable wires hidden inside TV stand's columns. 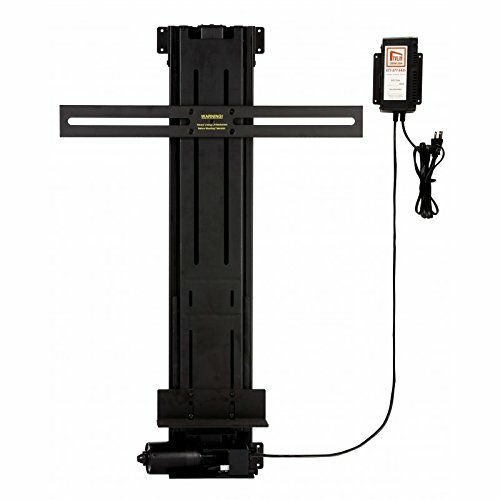 Gator Cases G-Tour LCD Lift, 65"
As seen on the TODAY show, the all new Harrison combines clean lines with a rich espresso finish to create a gorgeous cabinet with a contemporary twist. Indulge in the beauty and fine craftsmanship of this solid birch cabinet that features Touchstone's new exclusive built-in component shelf. Touchstone's component shelf provides space for your sound system, cable box or satellite receiver, so it raises with your TV. When the lift rises your remotes can be used to operate all your components. The cabinet arrives ready for plug-and-play operation so you'll be enjoying the home theater experience in minutes. Finished on all sides, the Harrison a refreshing compliment to a bedroom or any room in the home. 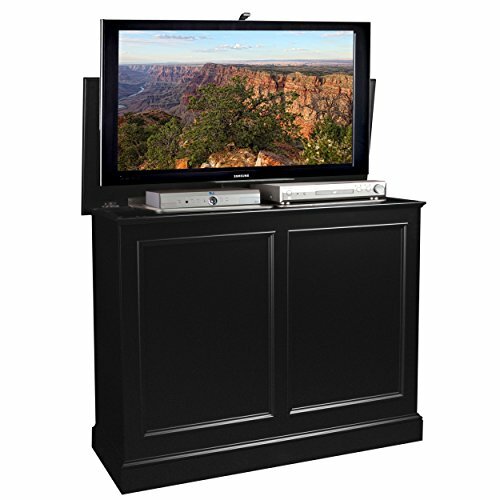 It features the Touchstone signature Whisper Lift and accommodates plasma and LCD Flat screen TV's as large as 47" wide and 33" tall. 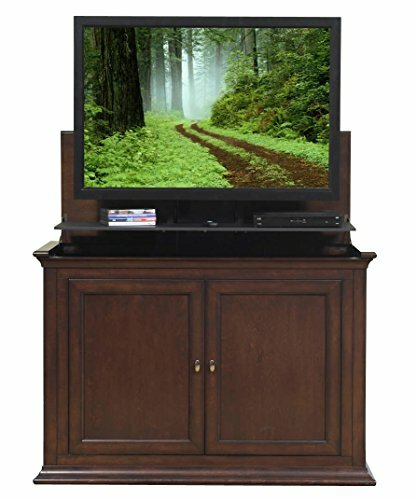 Compare prices on Plasma Lift Furniture at ShopPlanetUp.com – use promo codes and coupons for best offers and deals. We work hard to get you amazing deals and collect all available offers online and represent it in one place for the customers. Now our visitors can leverage benefits of big brands and heavy discounts available for that day and for famous brands.